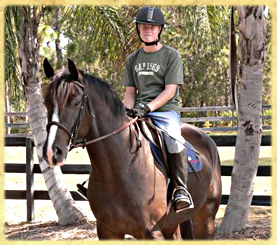 Do you have horses or are you thinking about joining the equestrian lifestyle? Horse lovers already know the joy these majestic animals can bring to everyday life. Nothing is more rewarding than caring for and riding your own horses in a country setting. Pine Ridge Estates in Beverly Hills Florida can offer you this laid back, yet elegant lifestyle. Large country estate homes set on one to five acre lots or larger offer the room to stretch out and experience a lifestyle when things were simpler and a little slower. Friendly neighbors riding up on horseback for a visit or picnic gathering. If you think this sort of thing only happens in movies, you are wrong. A home in Pine Ridge Estates brings with it all these things and much more. 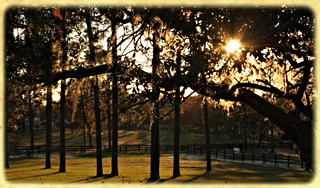 The Pine Ridge Equestrian Complex and Pine Ridge Community Center are hubs of activity in the heart of Pine Ridge Estates. Offering professional horse stables, coral, paddocks, and horseback riding lessons, the large facility is utilized by many of the residents. However others take advantage of their own slice of Pine Ridge to build their pastures, fences, stables or barns right on their own property. The more than 28 miles of horseback riding trails that wind between the homes throughout Pine Ridge Estates makes trail riding a convenience for residents. And with a long list equestrian as well as non-equestrian events, there is always something exciting going on. 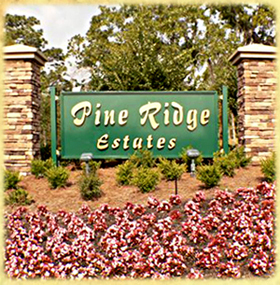 The Pine Ridge community also offers the Pine Ridge Golf and Country Club, a spectacular golf course in a rustic country setting with fine dining and challenging golf. 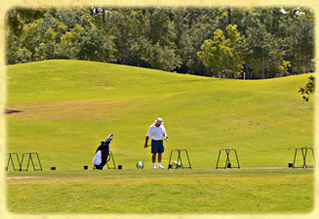 The Pine Ridge golf course's 18-holes features 6,106 yards of golf from the longest tees for a par of 72. The course rating is 68.6 and it has a slope rating of 120. Designed by Brian Almony, the Pine Ridge golf course opened in 1982. For the non-golfer there is still plenty of other activities. The Gulf of Mexico via Kings Bay in nearby Crystal River is just minutes away. The boating enthusiast, the fisherman or just those who like to just get out on the water will thrive in Pine Ridge Estates. Although Pine Ridge in a deed restricted community, you can park your boat and trailer on your property and well as your RV too. The fishing in this part of Florida is unsurpassed, both the fresh water bass fishing in nearby Lake Rousseau and the record tarpon sport fishing in the Gulf of Mexico. 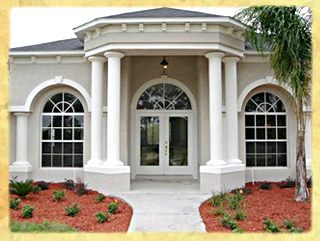 Please let a representative from Dream Custom Homes show you around Pine Ridge Florida, so you can see first hand the wonderful lifestyle that awaits you when you build a home in Pine Ridge Estates.